Carson Jones Daly has an estimated net worth of $25 million. He is a television host and former veejay from MTV, as well as a disc jockey for California's AMP radio. He started out as an intern for Jimmy Kimmel and worked as a disc jockey while attending Loyola Marymount University in Los Angeles. Eventually, he dropped out of college, and his radio work brought him the position of host of MTV's "Total Request Live," which he hosted from 1998 to 2002. 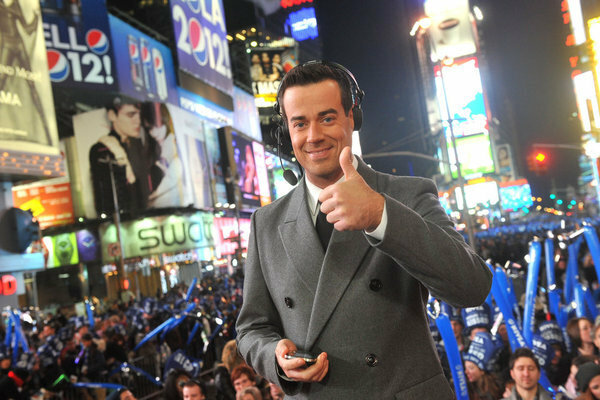 Next, he received his own late night talk show, "Last Call with Carson Daly," beginning in 2002. He has also hosted "The Voice," the singing competition program -- for which he received a salary of $40,000 for each episode that he hosted. He co-founded 456 Enterprise and Entertainment, which produces his yearly New Year's Special and a collection of well-received compilation albums. He has also played guest starring roles in such programs as "The Dave Chappelle Show" and "My Name is Earl." He continues to be one of the most bankable hosting personalities in Hollywood. The below financial data is gathered and compiled by TheRichest analysts team to give you a better understanding of Carson Daly Net Worth by breaking down the most relevant financial events such as yearly salaries, contracts, earn outs, endorsements, stock ownership and much more.